Just 12 days before the curtain is drawn on Bellator 131, Muhammed “King Mo” Lawal (pictured) has been issued a new assignment. 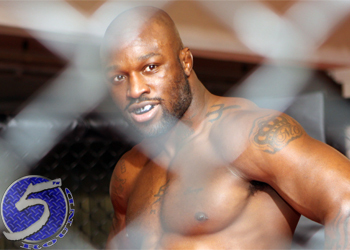 Lawal was originally salted to battle Tom DeBlass in the November 15 event, but Deblass has been forced to withdraw after suffering a nasty cut on his right eyebrow during training. Lawal will now face an ecstatic Joe Vedepo. Vedepo will be riding a three-fight winning streak into the light heavyweight affair. He was last seen knocking out Davin Clark at Bellator 129 in October. Lawal has alternated between wins and losses over his past five outings. The part-time TNA wrestler most recently posted a TKO victory over Dustin Jacoby in August.